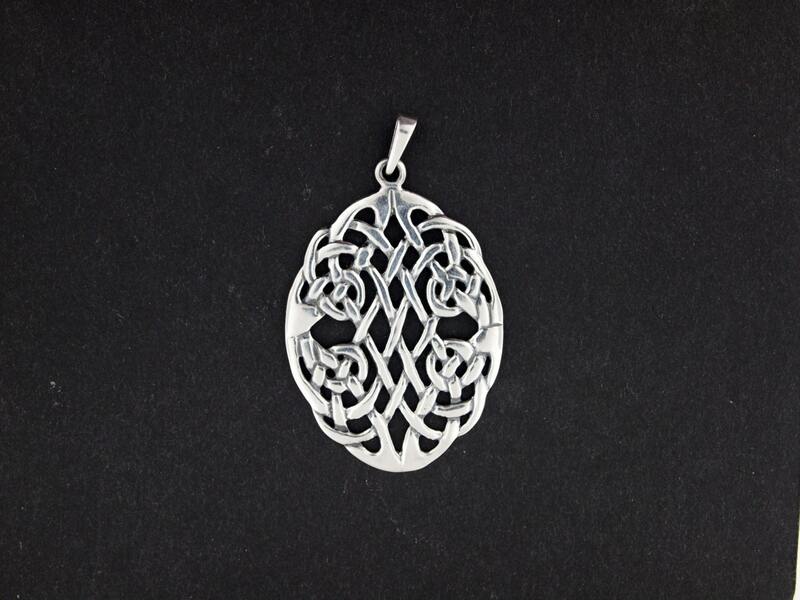 Based on a design from a book of Celtic knotwork I was given, this oval pendant is made in sterling silver and measures 1.75 inches long and 1 inch wide. The design is one I use an example for my beginners class in wax modeling and is just one of several different knotwork designs I've made over the years. Love it! Arrived fast to US with no problems.